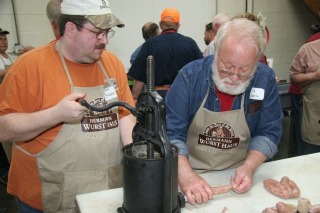 Learn How to Make Wurst & Sauerkraut - Sponsored by the Hermann Chamber of Commerce - Class Sold Out! portion of this VIP event that's both informative and entertaining. Mike will show you the ropes of sausage making and cover topics such as; mixing and grinding techniques, ingredients, types of casings, safe handling, smoking and cooking times. Farmer Dan Kuebler, Columbia, MO is the kraut guy, who was born and raised in Hermann, will demonstrate how to make sauerkraut, step-by-step. 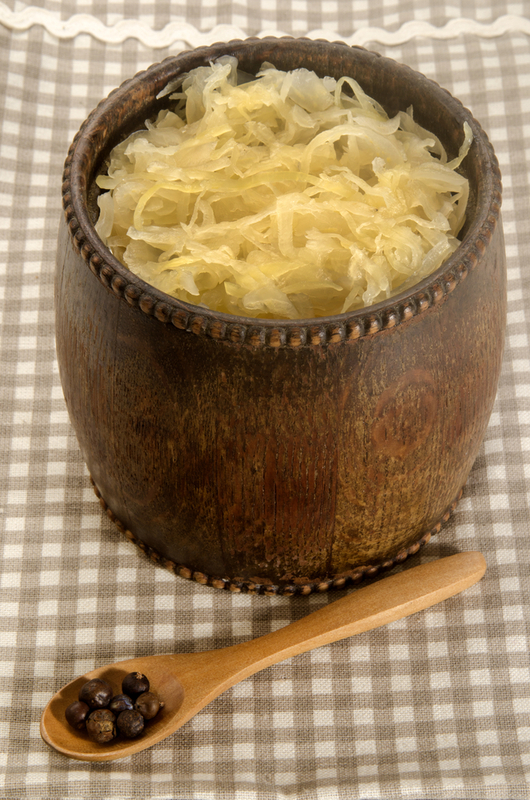 Participants will learn about the basic history and benefits of fermentation, and then will chop, salt, and mix their very own batches of kraut. Class will be very hands on! Come ready to wear an apron, turn a crank on an antique stuffer or hold a sausage casing. Designed for home sausage makers and those interested in how to make sauerkraut! From those of you who have never ground meat in your life to those who are sausage makers extraordinaire but want to learn more. Many of you only make sausage once or twice a year and if it did not turn out right, it's months before you get to try it again and then you can only change one thing at a time or you don't know what you changed that you liked. This class will cut your mistakes by years, using Wurstmeister Mike’s everyday sausage making experience. Guaranteed to fill your belly! Not only will you be served a wurst meal, but also treated to a wurst, wine and beer tasting, 1 free drink ticket and you take home 2-3 pounds of sausage that you create in the class. All Wurst participants will enter their Wurst into the 40th annual Wurstfest Amateur Competition where it will be judged by a panel of Wurst experts. Awards will be given at the Sausage Makers Reception Saturday night at Stone Hill Winery Sherry House. Fun! Guaranteed! Cost - $89 per person, call the Hermann Welcome Center, 800-932-8687 to register or register online here. Class Sold Out!